This is an archived post that I believe needs to be resurfaced. 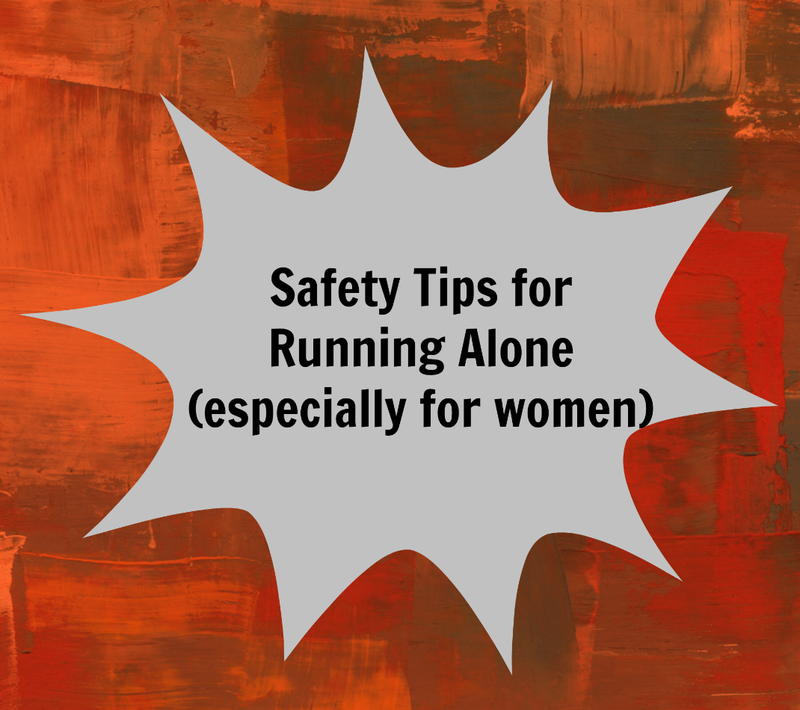 It highlights safety tips for running alone, especially for women. A woman was attacked and seriously injured in a trail that almost every runner/triathlete in the Atlanta area has run or biked on. We all love running and cycling, but we need to be safe to do the things we love. 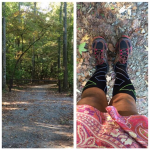 For a lot of us, running is “me” time. A time to reflect, think, be at peace, enjoy. We are so often engulfed with trying to fit a run in that we forget the dangers that could lurk. The recent deaths of Sherry Arnold in Montana and Sarah Hart in Kentucky highlighted the dangers that women face while out running. So while I’m usually careful, I’m the Tweet Chat hosted by Bart Yasso was a great source of information and heightened my sense of awareness on this topic. 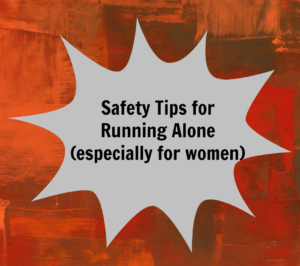 And I would like to share what we talked about in the tweet chat – safety tips for running alone, especially for women. 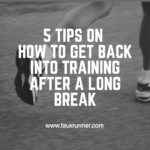 The one comment that resonated with many of us runner participants – Do you have a plan in place? Personal Protection Plan – Let someone know where you are running, when you should finish, carry a cell & run with friends. I always tell my husband when I go out to run, and tell him how long I’m expecting to run and usually which route. (It is doubtful if he actually retains any information beyond “She’s going for a run and leaving me alone with the kids. Again. ….” But, I digress). 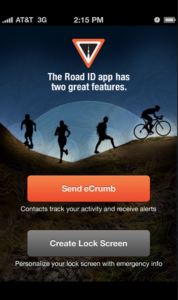 Many runners have said that they use Find iPhone or other similar features to let a friend track their route. Update: RoadID app might just be the best thing since sliced bread. You can set it up such that it sends out text/email alerts to your designated contact on where you are. I love the RoadID app, even if I’m going out for a short run in daylight. Strength in Numbers – As far as possible, run with a friend or a running group. 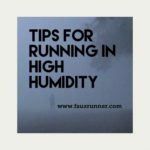 Other than providing support and camaraderie during the long runs, it also provides you with much needed safety. Be Aware of your Surroundings – This applies for people, animals and vehicles. Registering and acknowledging people (and cars) sends the clear signal that you aren’t lost in yourself and will not be a soft target. Leave the Music at Home – While music motivates and sustains many a run, it can also be very distracting. Especially when the music is loud enough to overpower every other noise (I will confess to being guilty of this). Turn the music down low enough that you can hear noises from surroundings including the roar of a motorcycle to the soft tread of someone sneaking up behind you. I used to run to blasting tunes, then graduated to running with the earphone only in one ear. I now hardly ever run outside with music. As someone told me – stride, cadence and heart rate should be the tunes I should listen to. Sunlight is not just for Vitamin-D – While this is hard given our crazy schedules and long work days, avoiding running alone in the dark goes a long way towards self protection. Carry a whistle, Mace, Lights, ID, or run with a friend (@runhers: With bath salts and Meth addicts – Police say predators could walk right through mace or even stun guns) . Learn the basics of Self Defence – You don’t have to be Bruce Lee, but taking a self-defense course helps in knowing what to do when attacked and gives you the confidence that you can take care of yourself when needed. While very demanding on time, this one is on my list of things to learn. Do not publish the GPS map of your run – Even if your settings are set to private, nothing is ever private once it is out there. So when you log your miles after downloading it from Garmin or other GPS devices – do not link the entire workout for everyone to see. Take a screenshot of your pace or HR or anything else and use that instead of publishing the GPS map which will have the exact location of your house/route or anyother place you usually frequent. If you think you are being followed or if you feel threatened, do not hesitate to call 911! Personally, I NEVER run alone in the dark. Friends have laughed at me for being paranoid, especially as I live in a very safe neighborhood and safe part of the town. But I just cannot. I would choose the treadmill anyday over dark, lonely runs. With so much fear and nervousness, I wouldn’t enjoy my run either. 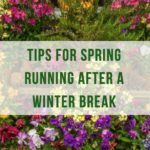 Tips to stay safe while you are running or cycling or doing anything you love! Do you run alone? Why or Why not? 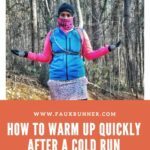 Are there any tips you can share for those who run alone? Great tips – and a really important issue. It’s too easy to forget that running can make us as vulnerable as it does fit and happy. I have to admit that I do tend to run alone in the early morning when it’s dark on remote country roads. I know it can be dangerous and recently I have been really trying to come up with a better plan- carrying mase, wearing more reflective gear, etc. Unfortunately, there are a lot of crazy people in the world or those that don’t bother to pay attention when they drive! Sometimes I’m more scared of drivers than anything else! But I never run in the dark either. Pity, because it is such a beautiful time of the day. Great tips. I don’t run alone for very far because the new neighborhood we’re in is not ideal. I’ll run alone if I can drive to a recreational area. Agreed – always safe to run alone where there are other groups of people too. I run with a group too. We do end up with different paces, but each “pace group” sticks together. And most definitely stick together in the dark! It is so said that we have to be paranoid when we run, but it’s the truth. Anything can happen and we need to be prepared. There’s been a third assault on runners in this week here. No, I won’t run in the dark either. If someone’s or something’s going to attack me, I’d like to at least be able to see what’s coming at me. Plus, I watched some scary werewolf movies as an impressionable child and although I know it is nuts, I always have this crazy fear that there’s a werewolf lurking in the shadows if I’m alone in the dark outside. Yes, it’s sad but true!